Hizballah and the Anti-globalization Movement: A New Coalition? Reprinted with permission from PolicyWatch, #949, January 27, 2005, Analysis of Near East policy from the scholars and associates of The Washington Institute. The World Social Forum (WSF) is currently (January 26–31) convening a Global Anti-War Assembly in Porto Alegre, Brazil, building on its previous conferences attended by thousands of antiglobalization activists from around the globe. 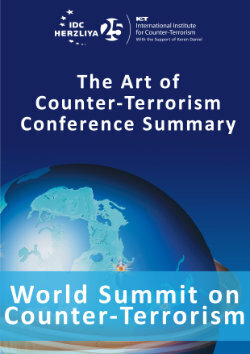 Among the issues to be addressed are coordinating actions across borders, determining which tactics to use, finding ways of penalizing countries that act as U.S. allies in conflicts like the Iraq war, and building stronger links between the antiglobalization movement and movements in the Arab and Muslim worlds. The Beirut Assembly, the most recent of these gatherings, committed to struggling against what it termed “the occupation of Iraq, Palestine, corporate-led globalization, and dictatorships.” It also provided some interesting indications that certain elements in the antiglobalization movement are prepared to work with Hizballah. On September 17-19, 2004, activists held an “International Strategy Meeting” in Beirut under the title “Where Next for the Global Anti-War and Anti-Globalization Movements?” The Beirut conference emerged from a process that began at a May 2003 antiwar conference in Jakarta and continued at an antiwar assembly at the Mumbai World Social Forum in January 2004. 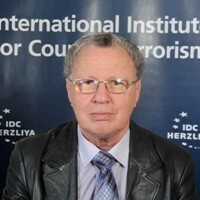 The main conveners included Focus on the Global South (Thailand), a “key player in the global movement,” and the Civilian Campaign for Protection of Palestinian People (France). The rest of the working group that organized the conference hailed from Argentina, South Africa, Japan, France, Nicaragua, India, the Philippines, Italy, Brazil, Greece, the United Kingdom, and the United States, reflecting the broadly international and south-weighted character of the initiative. The meeting was endorsed by 262 organizations and movements from 53 countries. Moreover, some 300 individuals from 50 countries participated in the conference, representing various antiwar coalitions, social movements, nongovernmental organizations (NGOs), and other groups. Participation from Africa and North America was generally weak, however. The Arab sponsors (the Lebanese Welcoming Committee) included “progressives, seculars, and Islamists” such as Hizballah, the Lebanese Communist Party, and the Progressive Socialist Party of Druze leader Walid Jumblatt. Joining them were activists from Syria, Egypt, and Morocco, and Palestinian areas as well as a delegation of Iraqis. The decision to hold the meeting in the Middle East was part of a conscious effort to build closer links with antiwar and anti–corporate globalization activists in the region. Lebanese NGOs and grassroots organizers in Beirut raised concerns about the potential negative impact of the conference on their work for local social justice. In particular, many Lebanese antiglobalization organizations were irritated about the decision to invite Hizballah, which they deemed a military organization that represented neither the antiwar nor the antiglobalization movement in Lebanon. Indeed, Hizballah’s politics and ideology harm Palestinian workers’ rights in Lebanon, suppress women, persecute homosexuals, and impede democratic freedoms. In pursuing its goal of developing new links with antiwar and antiglobalization forces in the Middle East, the conference hosted some interesting debates about suicide bombing and the relative importance of local versus Middle Eastern struggles. His position was reinforced by other delegates who argued that it was up to the people of Iraq to choose, according to the limited means available to them in their tremendously difficult situation, how they should fight the occupation of their country. As they put it, the role of solidarity is to lend support, not offer critiques. The debate involved an exchange on who could be considered legitimate targets in the struggle against occupation. It was remarked that, as a result of privatization, military functions are now often in the hands of apparent civilians within the fields of combat, security, intelligence, supply, and public relations. According to this view, even clearly civilian roles, such as construction work for civilian purposes, often reinforce the occupation or further the aims of the invasion by other means. Those involved in frontline struggles for the basic rights of refugees, women, migrant workers, detainees, and homosexuals in the Middle East expressed their frustration at having been told, for years, that their efforts must take second place to the movement against U.S. imperialism and Israel. Yet, delegates from other parts of the world called for an approach of “localising the struggle, globalising the intifada.” The baseline assumption of the conference was the need to give global priority to the struggles in Iraq and by the Palestinians in international solidarity work. Many delegates agreed that the resistance in Iraq and the Palestinian areas are, as one delegate put it, “fighting for the rest of us on the frontline of the global war; thus they should be garnering our priority support as a matter of strategy.” Other delegates (from Africa in particular) raised questions about this Middle East focus, however. It seems that Hizballah has decided to jump on the antiglobalization bandwagon at a sensitive moment in the war on terror and the situation in Iraq—both fragile, explosive situations that could decide the course of future events in the Middle East. At least some important elements of the antiglobalization movement now seem willing to seek solidarity and cooperation with radical Islamist organizations and to accept their use of suicide terrorism.